Author: Levitin, Sonia Set In . . .
Based on a true story and real-life contemporary events, this novel tells how a group of students in Denver, Colorado, learns of the atrocities in Sudan, and how they begin to make a difference--raising money to "redeem" slaves and educating others about this dire situation. 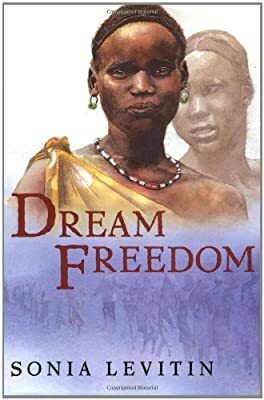 Award-winning author Sonia Levitin juxtaposes the safe and secure world of an American classroom with the severe hardship of the Dinka people, making Dream Freedom a book that will raise consciousness around the world.